Kevin Quinn views his role as your trustee as being similar to a conductor by orchestrating and working with your team of financial professionals and attorneys to effectively serve you, the trust maker, and your beneficiaries, to ensure that your goals are met. His goal is to offer a fresh approach that allows each trust and beneficiary he serves to receive maximum flexibility and receptiveness to their needs. 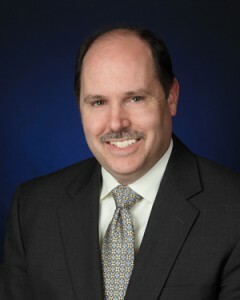 In his career, Kevin has worked for both large corporations and small companies. As a certified Project Management Professional (PMP) he has twenty years of experience leading long term strategic multi-million dollar business and information technology projects for senior and ‘C’ level executives. As a small business owner he has operated a consulting and staffing company providing services to clients in information technology, finance and accounting and been responsible for all aspects of operations including payroll, accounting, human resources and employee relations. For the last eighteen years he has served as trustee for Revocable and Irrevocable Family Trusts and as Estate Executor. He is supportive of the collaborative model of estate planning. His goal is creating a smooth transition in following a trust creator’s instructions and intent while working with his or her trusted advisors and beneficiaries. The variety of skills Kevin has attained allow him to be a strong advocate for you in administering your trust. Kevin knows how to deliver results with both direct and indirect authority; understands the persuasion and give-and-take needed to develop solid working relationships with professionals of varying backgrounds and interests; is highly skilled at identifying and anticipating problems, effectively mediates conflict resolution, and perhaps most importantly, keeps the lines of communication open and is responsive and attentive to his clients’ needs. Kevin has lived near Dallas, Texas since 1993. He has been married to his wife Emily since 1996 and they have four teenage and young adult children. Kevin is active in the Knights of Columbus for which he has served as a Grand Knight, Faithful Navigator, District Deputy and State Chairman for the Columbian Squires, the official youth group of the Knights of Columbus. He served on the Zoning Board of Adjustments for the city of Sachse, Texas from 2005-2015. Kevin is a charter member of the Dallas Collaboratory of the Purposeful Planning Institute, a professional organization geared to financial advisors, estate planning attorneys and other professionals and consultants serving family trusts and family businesses. In addition he is the Co-Founder and President of the Independent Trustee Alliance, a worldwide professional association dedicated to setting the standard of care diligence and professionalism for trustees.